The NCHN Conference in New Orleans has come and gone. It's a memory now, but it was full of learning opportunities and fun. You can view photos from the Conference and Awards luncheon on NCHN's Facebook page. Jay Seifert is co-founder of LoneStart Wellness. He is a monthly wellness guest columnist for the NCHN e-News and blog. Partners in Health Network Inc. 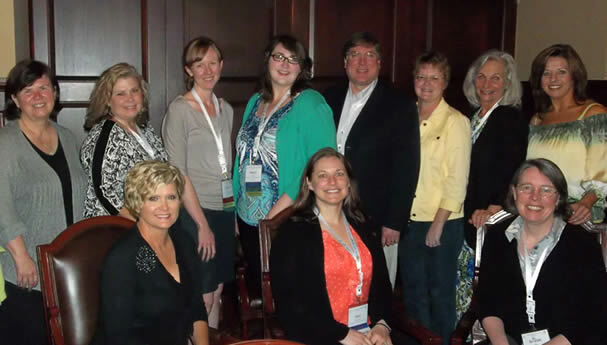 The NCHN Board of Directors were elected during the annual membership meeting held in New Orleans on April 17, 2013. You can view the list of Officers and Directors, along with their contact information here. As you know, NCHN is a membership organization and members play an important and active role in the governance and management of the Association. At the beginning of each year, which runs May – April, the committees are reorganized. Members are invited to volunteer to serve on the committee that meets both their professional development needs as a network leader and that they have a sincere interest in assisting NCHN meet its goals and objectives for the year. The other opportunity for members that serve on committees is that it qualifies them to seek election as a Director of NCHN. Candidates for Directors must have experience as a committee member. The NCHN Board of Directors discussed committee structure at their Annual Board Retreat in New Orleans and made some changes. This year each committee will determine at least one specific goal for the year that must be a deliverable to the membership. So, please review the various committees and their overall description and let Rebecca know which one you would like to serve on for 2013-2014. Each Committee will determine its own meeting schedule for the year during the organizational call; however, member should be willing to donate an average of an hour and half per month for committee calls and committee work. The 2014 Annual Conference Committee members should plan for two calls per month for most months between June and March. If you have any questions, please let Rebecca know. What are leadership models that reflect my unique strengths and preferences? What are leadership models that encourage me to "stretch" and grow my capacity as a facilitator? How do others view my leadership strengths? What are my learning opportunities for the next six months and what specific choices will I make to continue to lead in unique communities? Members of the communities discussed "best leadership practices" and focused and intentional growth and reflection on what is required to lead in complex and adaptive situations. The next Leadership Learning Community will be developed from participants at the NCHN Leadership Summit to be held October 1-2 in Austin, TX.